New Delhi, July 16, 2016: In a major seizure, CBI today claimed to have recovered about Rs one crore in cash from the residence of the then Development Commissioner, Special Economic Zone, Surat during searches conducted after a case of disproportionate assets was registered against him. 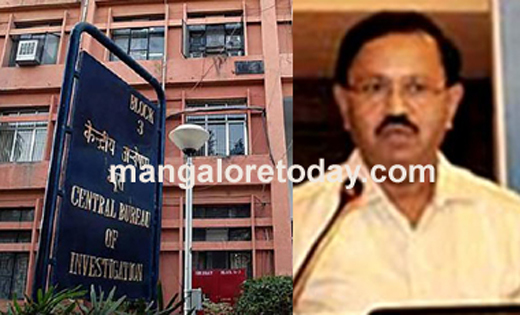 CBI sources said a case under the Prevention of Corruption Act had been registered against Vijay Kumar Narayan Shewale, now posted as Development Commissioner, Mangalore SEZ, and his wife for allegedly possessing assets disproportionate to their known sources of income. "It was alleged that the public servant had acquired disproportionate assets to the tune of Rs 5.26 crore (approx) in his own name as well as in the name of his family members, including his wife, daughter and son. The alleged assets include residential/business/agricultural premises," a CBI spokesperson said here today. She claimed searches were conducted at seven premises in Mangalore, Mumbai, Malegaon and Nashik which led to recovery of several documents relating to the acquisition of properties and cash to the tune of Rs 99.60 lakh from the residence of the public servant, besides Rs 94.99 lakh from the office of a private firm at Andheri, Mumbai. "300 gms (approx) of gold jewellery and 900 gms (approx) of silver coins were recovered from a bank locker in the name of his wife," she said.